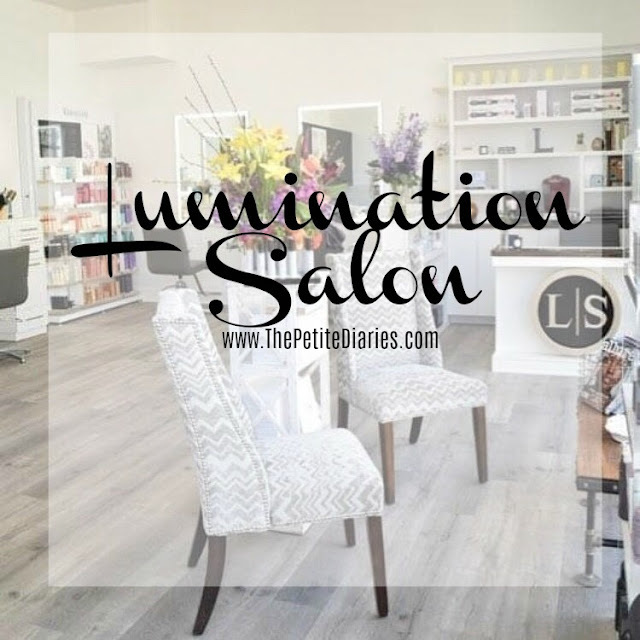 When Lumination Salon first reached out to me to collaborate I knew instantly it was a YES! You guys know how much of a small shop supporter I am, and this one is just blocks away from me right in West Lakeview. Walking up to the salon it was love at first sight. The floor to ceiling windows, open concept, and intimate 4-chair salon just drew me in. The salon is never short on natural light, and the neutral color scheme had just enough feminine touches to make any woman feel right at home. 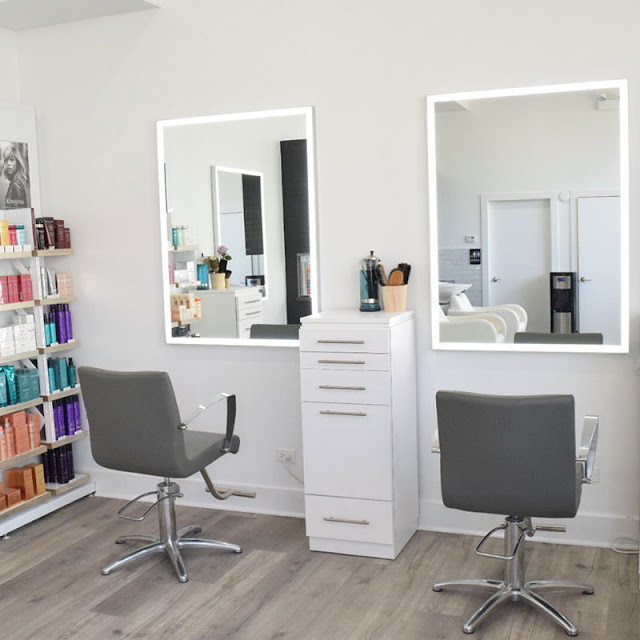 The salon has a very intimate feeling which I love because it means you aren't being shuffled from one room to another like other salons. Plus, you feel like a complete goddess with all the personal attention! See those amazing mirrors they have a special light that means when you get your hair colored you know exactly what it's going to look like. Say goodbye to walking outside to see what your actual hair color is going to look like! Adam who is was my stylist and also the owner is what hair stylist dreams are made of! With 15+ years under his belt he knew exactly what my hair needed. As I sat down in his chair I knew that this was going to be a good hair day. I told him that I was getting married in October 2019, so I wanted to make sure that it wasn't too short. I was afraid that I wouldn't be able to do what I wanted on the BIG DAY. 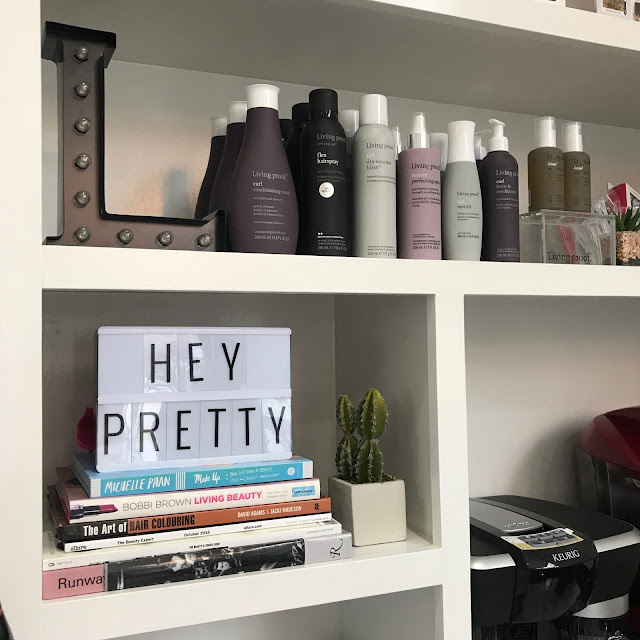 We talked about style, daily hair care and what I didn't like currently and how he could make it better for me. I informed him I wear extensions when I go out, but my daily hair is a braid or bun. My goal was that I wanted it to be healthy and easier to manage when I did wear my all natural hair! 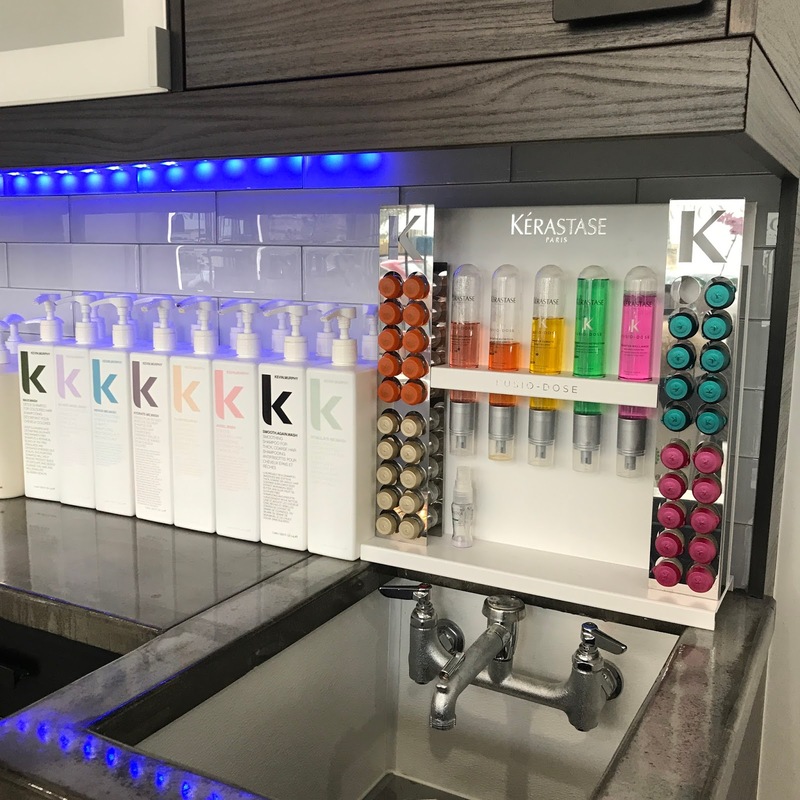 Adam then discussed with me how to achieve my hair goals and that he was going to do a Kerastase treatment. If you have never had one I highly suggest it. This was my first treatment and where in the world have I've been?! 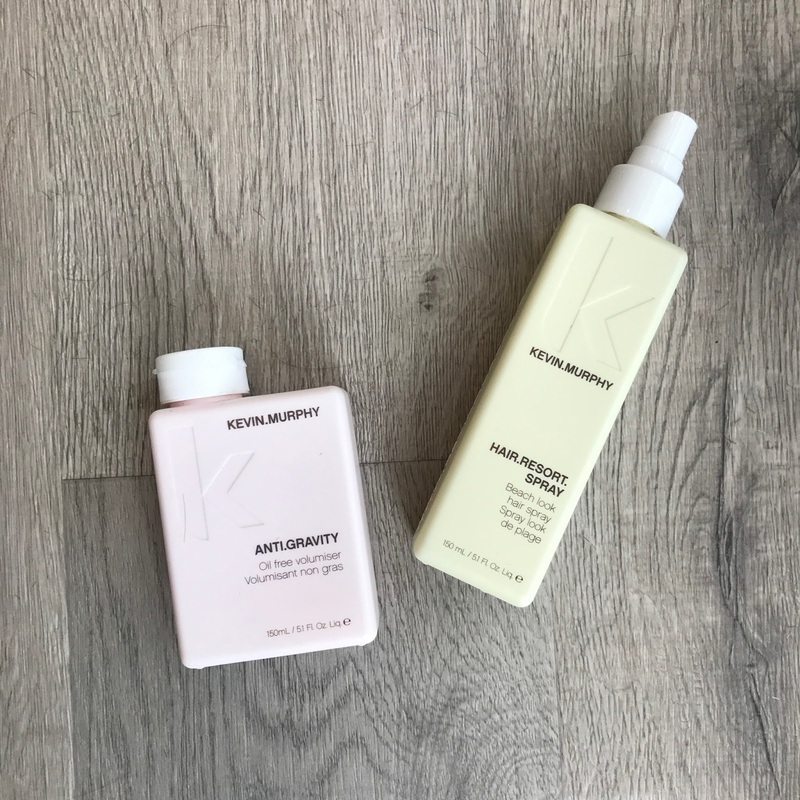 This treatment is tailored to you and your hair specific needs. My specific treatment gave my hair tons of shine and strength two things I desperately needed! On to the cut, I lost a little bit of length due to damaged ends but what I gained was so much more. Adam cut my hair in a way that was never cut before and he even changed my part which was a breath of fresh air! Adam and I discussed the type of hair products I should be using for my hair type and why and even taught me the correct way I should be curling my hair. We played with my natural waves which is important for me in the summer and I went home with some new products. Speaking of products if you've never heard of Kevin. Murphy you should go look him up, hands down the only products I'm using now on my hair. Cruelty free and eco friendly sign me up! 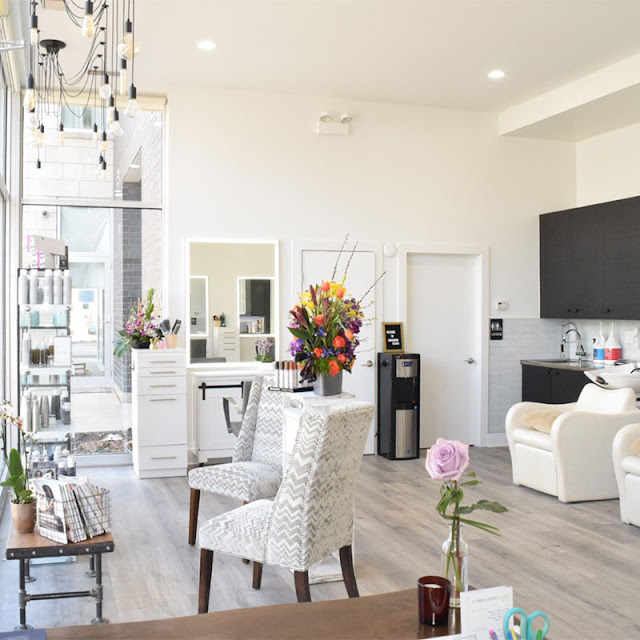 The most unique thing I learned about Lumination Salon is how they are a Certified Green Circle Salon. With all the garbage and waste that we are polluting into our ecosystem it's so refreshing to see a salon taking steps to help reduce their carbon footprint. Lumination Salon prides itself on being part of the Green Circle Salons, I just had to learn more. Adam speaking all about his salon and why it was important for him to be a member was truly amazing. It also made me feel I was making an impact and that is something that is very important to me. 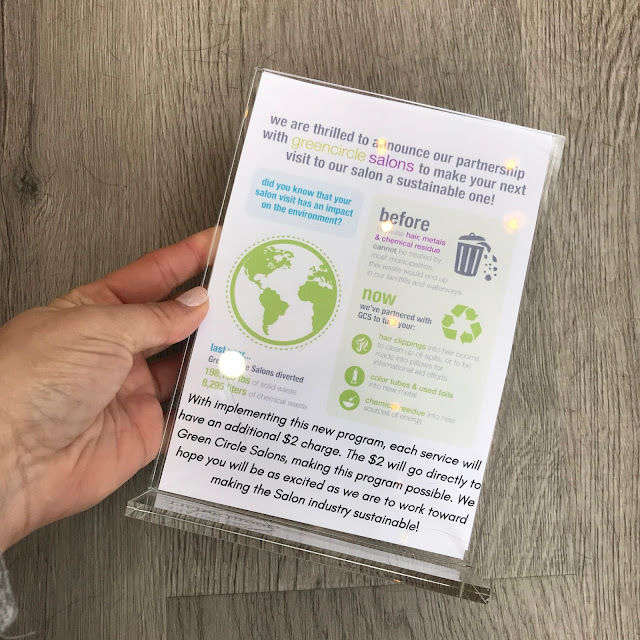 I pride myself on recycling when I can and doing the best that I can to reduce my footprint. Feeling like you need a new Spring cut?! Make an appointment ASAP at Lumination Salon and let them know I sent you!